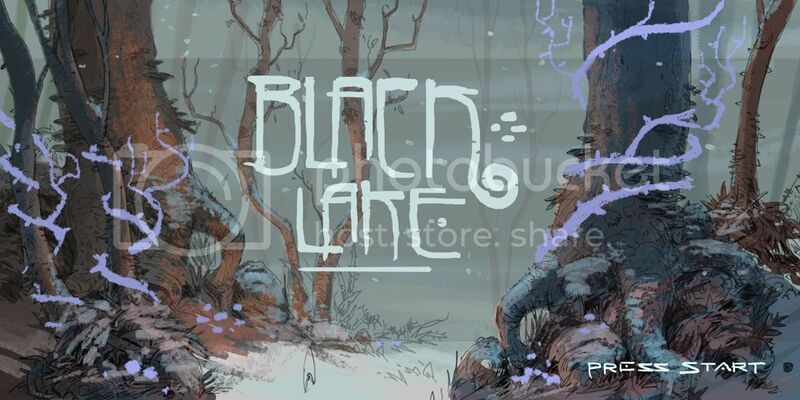 Black Lake is an action adventure game set in a forest filled with the dreams of it’s animals. It follows a hunter’s daughter on a journey to track animals and cleanse their dreams of a darkness that has been feeding on them. The evil has erupted from Black Lake at the center of the forest and is crawling in all directions as a thick dark bramble. With every dream cleansed brambles die away and let you closer to Black Lake. Black Lake is a Folk tale as written by H.P. Lovecraft and Winsor McKay set in a forest filled with the dreams of it’s animals. It follows a hunter’s daughter on a journey to track animals and cleanse their dreams of a darkness that has been feeding on them. The evil has erupted from black lake at the center of the forest and is crawling in all directions as a thick dark bramble. With every dream cleansed brambles die away and let you closer to black lake. You track animals one at a time, interchangeably focusing your sense of sight, smell and hearing to find the signs of an animal’s direction. (ie: Broken branches-SEE, Paw/Hoof Prints-SEE, Blood-SEE/Smell, Animal smells-SMELL, Howls and Hoofsteps-HEAR, Lil’ poops-SEE/SMELL) Successfully following a string of signs reveals an animal with it’s own dream scene spilled around it into the forest. Resolving a dream scene would vary in gameplay. One may involve helping a family of foxes find the safety of lily pads in a dream filled to the tree tops with water. One Dream might see the player clearing nightmarish invasive brambles with an accordion, spilling lullabies across them. Animals may be having nightmares in which their dead family members, killed by your father, need to be put to rest by firing bullets out of them back into his gun. This game I'm most excited about. I'm hoping to see something in the vain of Okami; open world, amazing art. etc. Do your proto type in the Brutal Legend engine and you'll be halfway there! Needs more votes! One of my favourites. The art is gorgeous. Just voted, and I think we still have a shot at catching up! Man, Okami really is THE best! That sounds amazing! How is this not already in production?! What did you have in mind for gameplay? This is definitely one of my favourites as well and I really hope this one gets made. I haven't voted yet though, how many votes do each "backer" have? This idea really sounds great, especially since I don't think I would've ever thought of it, and I'd like to play it! Would really like to see more of this; the premise and art direction seem quite creative. Your beautiful art earned my vote, but I'm having a little trouble visualizing what the gameplay would be like. The art is not only stunning, there are dreams and a female hero. Totally got my vote. It may be to the detriment of this pitch that in terms of tone it seems to be rather closely related to The White Birch. This got my vote over the white birch because of the idea of having a story to tell and not an open art game. I'd rather play a well crafted story than being asked to infer my own story on a game. I kind of imagine this game with the atmosphere of Limbo or Lucas arts' Lucidity, if you remember it. I'm undecided between this one and The white birch. Well, some game ideas start out with the setting, characters or a story. That's how it was for Double Fine Adventure too, or how it generally is with Tim's games. The question is then how to tell the story through the gameplay. But this isn't even too hard to infer so far. games are inherently about gameplay. can't argue with someone who always starts out with story and setting and comes out with loved games. But everyone can agree that DOTT, FT, Psychonauts, and even Brutal Legend had their share of gameplay problems. MGS will use long cutscenes as a way to frame the gameplay within the story by to establish a rhythm. Many games with heavy story can be designed with gameplay at the very beginning and having a core relation to the story. Lots of people don't like that style, but you can't say it wasn't the intention of the designer to make it that way, so in that regards it can be highly respected. The PDF have gameplay ideas that seems great according to me. I agree about the notion that the information about the gameplay should probably have been in the actual pitch video. I still hope that people will read the PDF to get a better idea of how good this game can really be. This is my favorite pitch! The concept art is beautiful and it sounds like it'd be a cool atmosphere to explore. I updated the top of the page with some more gameplay info.